Situated in Simon’s Town, this is the best place to see African penguins in South Africa. Unfortunately now endangered, don’t miss seeing these unique creatures, found only on the coast of South Africa and Namibia. Follow the boardwalks down to Foxy Beach to get the best view of these little guys. If you’re interested in seeing some baby penguins (and who wouldn’t be!) make sure you visit in January for the best chance. Afterwards, make the most of your time here by enjoying a swim at the beautiful Boulders Beach. 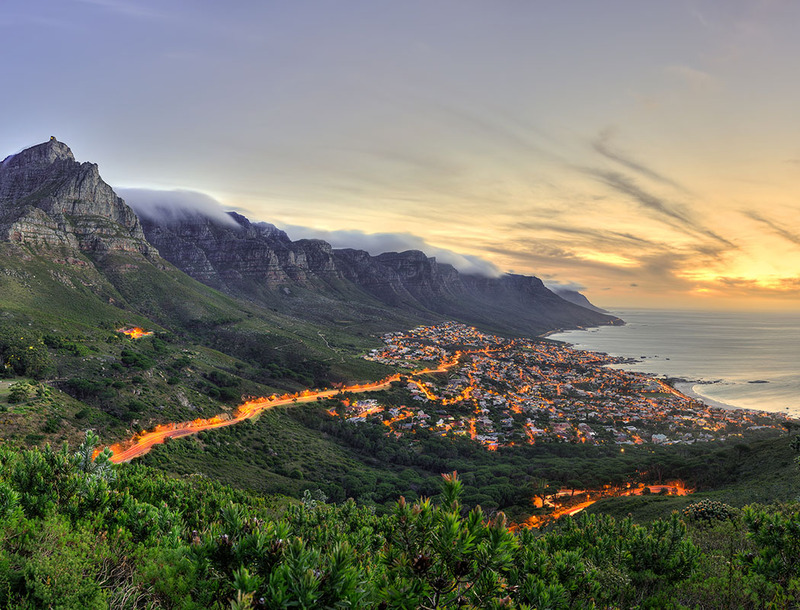 Stretching approximately 200km along the coast of South Africa, drive along this route to see the breathtaking scenery between Port Elizabeth and Mossel Bay. Spend as long or as little as you want exploring this incredible coastline; discover stunning beaches, lagoons as well as native forests. Along the way, enjoy whale watching, bird watching, and canoeing. For the more adventurous, there are caves to explore and even bungee jumping! The largest game reserve in South Africa, Kruger National Park boasts a diverse ecosystem and is home to the iconic Big 5. Explore the area on game drives, enjoy the many wilderness trails as well as bird watching. Kruger offers a host of luxury safari accommodation. Our African Travel Specialists recommend Sabi Sabi Bush Lodge, Dulini Lodge and Singita Boulders Lodge. Also known as “The Chief and Three Wives”, these three red sandstone towers are said to represent Mapjaneng, a celebrated chief and his three troublesome wives. Covered in lush greenery, each stands approximately 700 metres tall and rises high above the valley below– the Three Rondavels are a sight you simply can’t miss. Ensure you make time to stop and enjoy the sight of this ancient geological phenomenon; it truly is an incomparable vision.